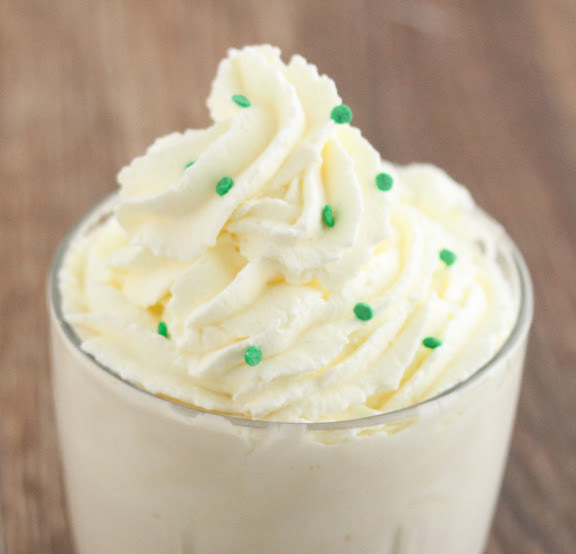 In honor of St. Patrick’s Day, I made this Baileys ice cream milkshake. 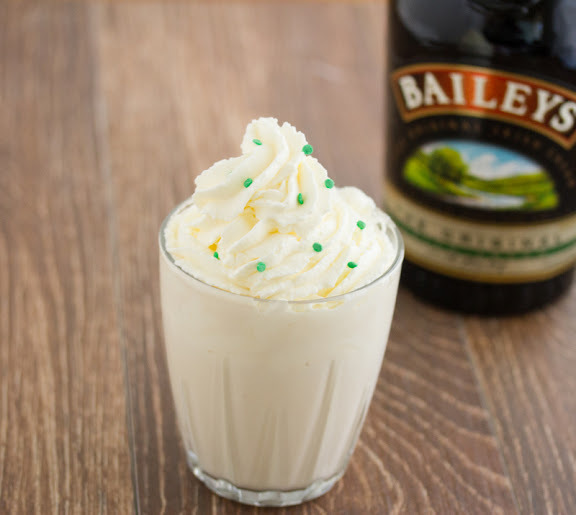 Both Mr. P and I love Baileys Irish Cream, so I combined that with the love for ice cream milkshakes and came up with this St. Patrick’s Day themed drink. I probably should have added a few drops of green food coloring to make it more festive. Maybe next time. If you’re making your own whipped cream for the milkshake, you can add a tablespoon or two of Baileys to it before whipping it, making a Baileys flavored whipped cream too. Blend everything together in blender until smooth. Oh yum, such a heavenly sounding milkshake!